Does your car need repairs? Are you looking for the best auto repair shop near Northgate, WA where you are assured of correct solutions to your automotive problems? Visit Rick's Tire and Chevron. 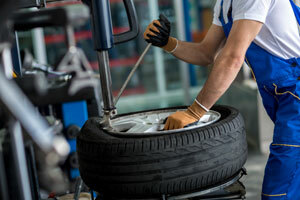 We have a long-standing presence in the auto repair industry in this community with a reputation for delivering fast, honest, efficient, professional and affordable service. We offer comprehensive truck and car repair services. 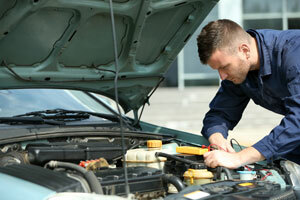 Our auto mechanic can fix any major or minor automotive issue. 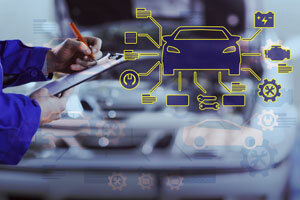 From engines to transmissions to brakes to radiators to electrical systems; our auto repair experts can resolve any problem with all these and more. Maintain a regular maintenance schedule to keep your vehicle in good condition and minimize its mechanical breakdowns. And, when the need for truck or car repair does arise, do not settle for anyone but the most competent auto mechanic you can find in your area. This is where we come in! The expertise of the auto mechanic you go to for truck or car repair affects how much driving comfort, fuel efficiency and on-road safety you get from your vehicle. Make your investment go a long way and get optimal performance from your vehicle by coming to us whenever you need the services of an auto mechanic in the Northgate area. Our competitive, affordable auto repair pricing is an additional advantage of bringing your vehicle to our facility for the repairs it may need. Visit Rick's Tire and Chevron for truck and car repair in the Northgate area. Call (206) 525-9392.